Let's be honest, sometimes you truly need new carpet. It's worn or dirty beyond repair. Other times you need an update. A new look. A new feel. Both of those reasons are equally important when looking for new carpet. While we're being honest, let's also admit that few of us are interior designers. 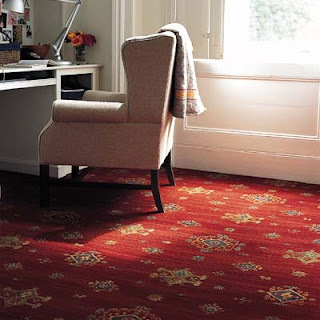 Carpet colors, styles and brands like Karastan, Fabrica and Schumacher spin before your eyes. Luckily - people with the skills you need are here at your fingertips. The design pros at Kermans are ready to help you select just the right carpet for your room, furniture style and traffic patterns. Let your personality shine through. Stories and humor engage people, and will make them feel at home often much sooner than a formal, stiff setting missing the smile. Pull the room together. Don’t forget to consider things like trim, accent pieces and greenery as you select a new carpet. SMARTSTRAND “CLAIM TO FAME” CARPET: Renewable carpet, so it’s great for the environment and includes a Lifetime Stain Warranty. Special offer: $1.99 a square foot, material only. Whether you've got a brand new home in Noblesville. A fixer-upper in Fishers. Or a great room in need of greatness in Greenwood. Kermans Flooring in Indianapolis has you covered. Stop by our Castleton showroom today and ask to speak to one of our flooring design specialists.